If you are a OnePlus fan, you have every reason to look forward to December 12. 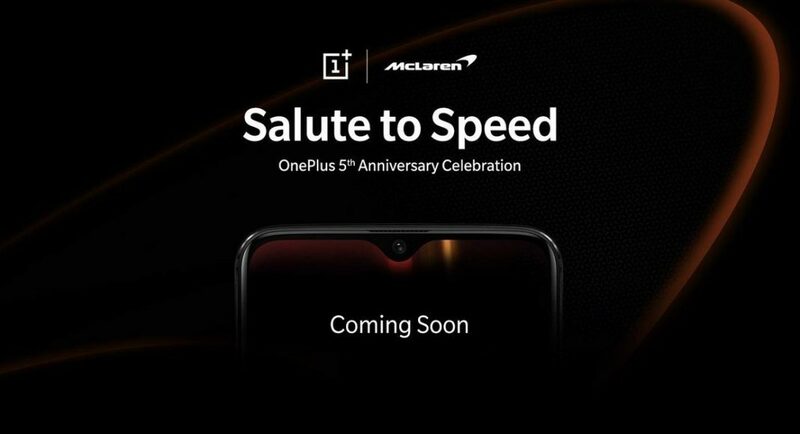 The Chinese smartphone maker is all set to launch its OnePlus 6T McLaren Edition in India on the said date next week. Like OnePlus 6T, the McLaren edition of the smartphone will also be an Amazon exclusive. OnePlus McLaren Edition’s dedicated page has gone live on Amazon India’s website today with a ‘Notify Me’ button. So if you are one among those who are interested in buying the OnePlus 6T McLaren Edition smartphone, you can register yourself for the same on Amazon India today. The special edition smartphone is being launched to mark the fifth anniversary of OnePlus and the company has said that community invites for unveiling the smartphone will be available starting December 6 at 10:00 am. Invites will be available on OnePlus India’s official website at Rs 799 each and the smartphone will be unveiled at an event in Mumbai on December 12. Those who will be a part of the OnePlus McLaren Edition event will be given a gift hamper by the company with official McLaren merchandise and the OnePlus Bullets Wireless Red. The company has also said that the OnePlus 6T McLaren Edition will first be available at the OnePlus Experience Store in Connaught Place, New Delhi. For its special edition smartphone, OnePlus has partnered with McLaren Automotive and McLaren Racing. While the specifications of the smartphone will remain the same as OnePlus 6T mobile, it is expected to be only available in 8GB RAM/256GB storage variant. The cost of the new special edition smartphone is said to be around Rs 45,999. However, some reports claim that OnePlus 6T McLaren Edition will come with 10GB RAM, and if that happens, the price tag would surely go up. While we are not sure of the RAM and storage details, we know that the rest of the specifications will remain unchanged. To recall, the Android 9.0 Pie based OnePlus 6T (review) sports a 6.41-inch Optic AMOLED display that has a waterdrop notch on the top. The smartphone is powered by Qualcomm Snapdragon 845 processor and is available in 6GB/8GB of RAM and 128GB/256GB of storage. It houses a 3,700mAh battery and for imaging duties, the smartphone sports 16MP+20MP dual rear cameras and a 20MP selfie camera. OnePlus 6T comes with a new Nightscape mode, improved low-light photography and enhanced colour reproduction and dynamic range.